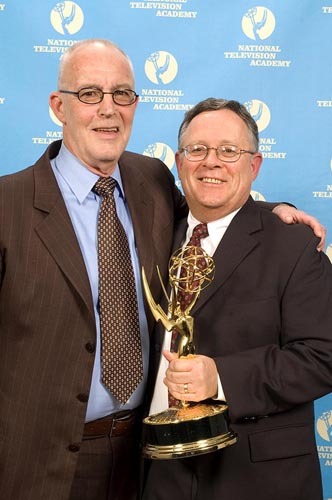 Jerry Steinberg and Jack Simmons of FOX NFL Sunday: Road Show, winner for Outstanding TECHNICAL TEAM STUDIO at the 28th Annual Sports EMMY Awards. ___Use link in the banner of this page for instructions to order a high resolution color corrected digital file of this image. Images are © Marc Bryan-Brown 2007 and may not be downloaded without written permission. Many thanks and congratulations.